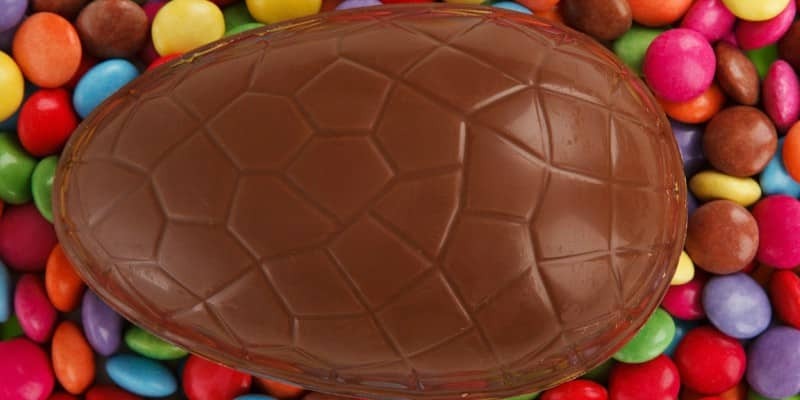 Have you ever found yourself asking, “Where does chocolate come from?" I know I have, so I thought I would do a little bit of research to find out! It all starts with a small tropical tree called the Theobroma cacao tree. The cacao tree is native to Central and South America, but it is grown commercially throughout the tropics. About 70% of the world’s cacao is grown in Africa. A cacao tree can produce close to two thousand pods per year! The pods encase a sticky white pulp and about 30 to 40 seeds. When the seeds come out of the pod they are incredibly bitter, not at all like the chocolate that comes from them! 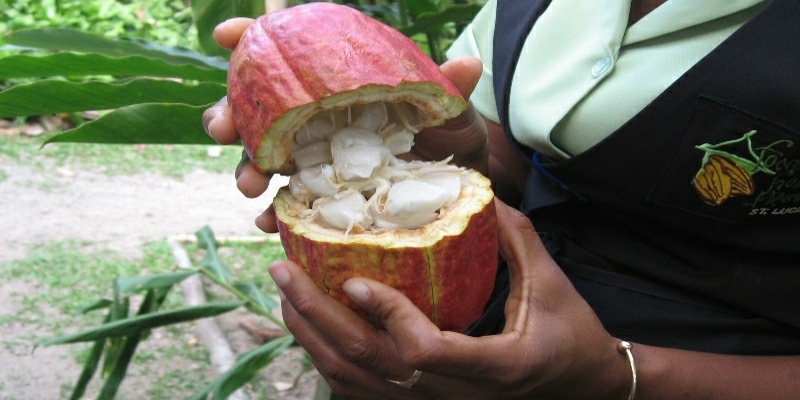 To make chocolate the pods must first be harvested, which is usually done twice a year. Because the trees are too fragile to climb, harvesting is done by workers on the ground with a machete. The workers then carefully open the pods by hand. The beans are then placed in wooden bins, covered with banana leaves and left to ferment. The heat of fermentation changes the bitter flavours in the beans into a more chocolatey flavour. After fermentation, the beans are dried in the sun for about a week. The chocolatey flavour continues to develop during this time. Once the beans are dry, they are ready to be shipped to a factory where they are turned into chocolate! 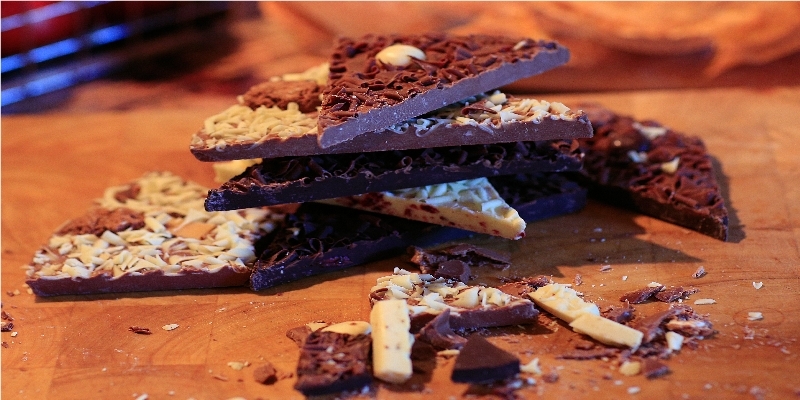 Check the blog next week to find out what happens when the cocoa beans get to the factory and how we at The Gourmet Chocolate Pizza Co. make our delicious Chocolate Pizzas!